Opening reception at Popps Packing on November 10th from 7-10pm and running through January 5, 2019. The gallery will be open to the public Saturdays from 12-5pm or by appointment at poppspacking@gmail.com. 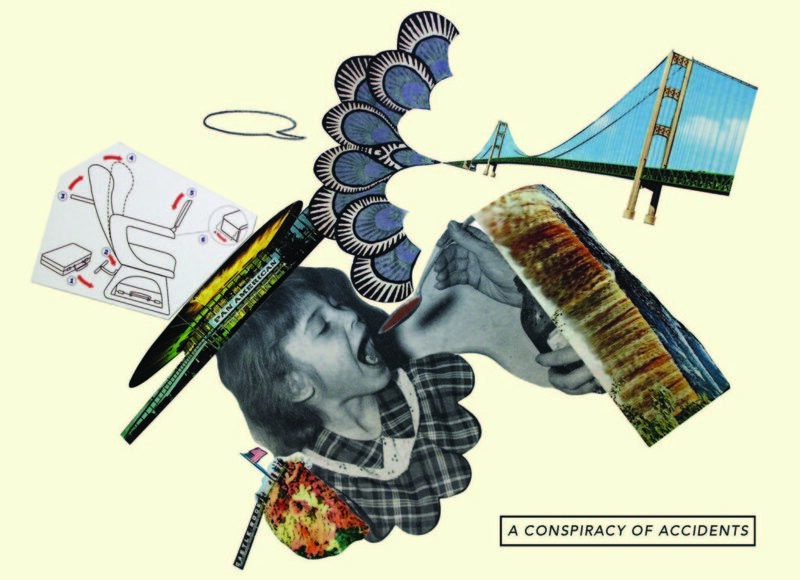 A Conspiracy of Accidents examines the use of collage in the work of four artists, Barbara Kendrick, Ryan Standfest, Timothy van Laar, and Michelle Wasson. Collage is an image making process that formally disrupts more stable contexts, offers startling reconstructions and hybridity, and questions assumptions about the original sources of its images. Since collage acknowledges both the previous meaning of an image and the rupture of that context into something new, collage promotes the multiple uses of images and the uncertainties that this multiplicity generates. This exhibition considers the nature of collage through four very different approaches to the medium. 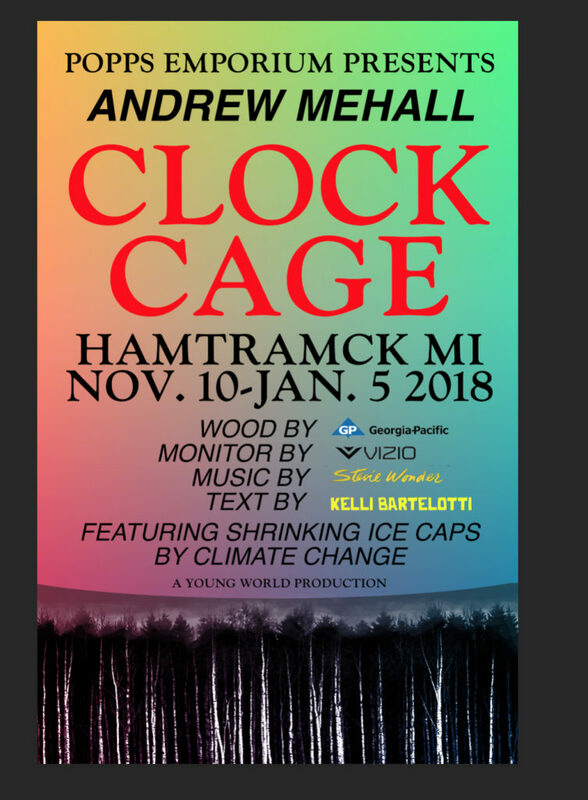 Clock Cage will be on view through January 5th, 2019. The Emporium is open Saturdays from 12-5pm or by appointment at poppspacking@gmail.com.